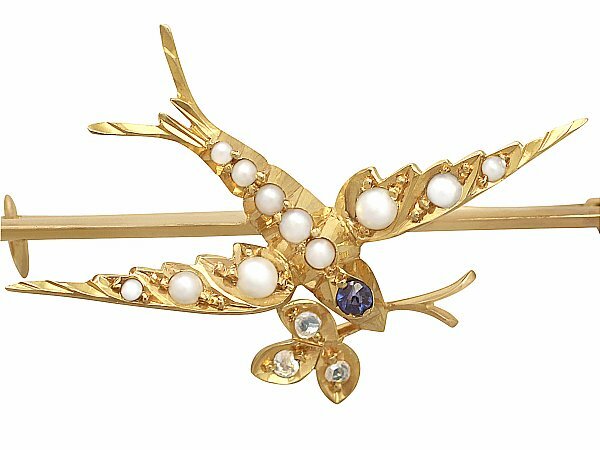 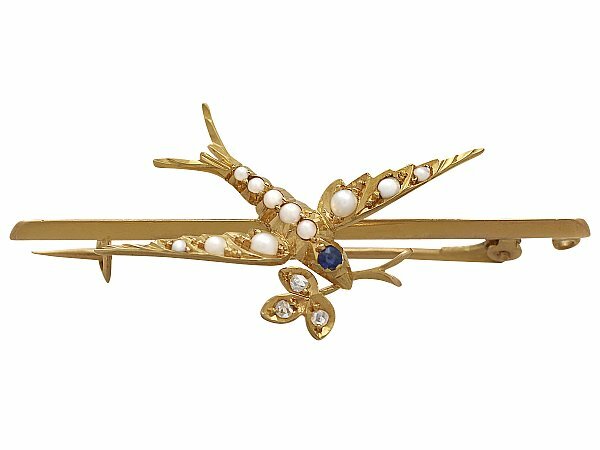 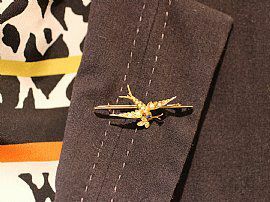 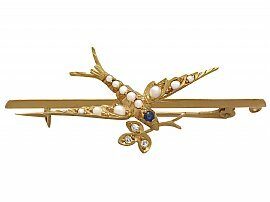 This impressive antique brooch has been crafted in 15 ct yellow gold in the form of a swallow. 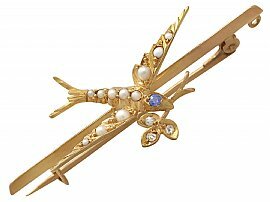 The swallow's wings and body are ornamented with eleven seed pearls, graduating in size dependant on position within the design. 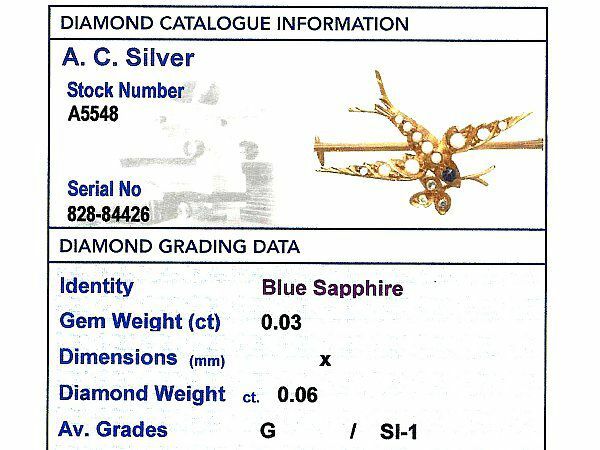 The bird's head is embellished with a 0.03 ct, Old Round cut, natural blue sapphire eye. 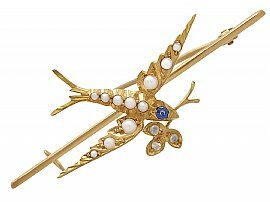 This fine Victorian brooch is further ornamented with three well colour matched Dutch cut diamonds, claw set to the leaf design, held in the swallow's beak. 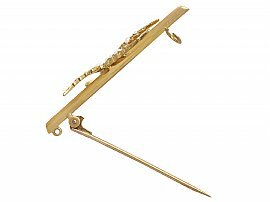 The bar brooch has been independently tested using state of the art technology (Niton XL2 Analyzer) and verified as 15ct gold. 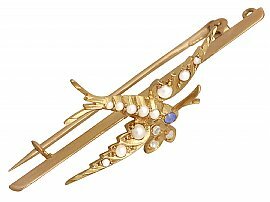 This brooch is fine quality, set with a natural sapphire and very high colour graded, old cut diamonds. 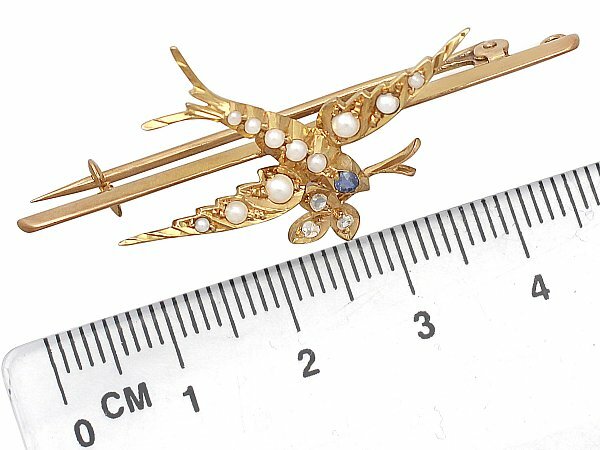 The antique swallow brooch is in excellent condition. Length bar 4.9cm / 1.9"
Width across wings 3.4cm / 1.3"
Length from beak to tail 2.1cm / 0.8"